From the smoky music halls of 1860s Paris to the tumbling skyscrapers of twenty-first-century New York, a sweeping tale of passion, music, and the human heart's yearning for connection. An unlikely quartet is bound together across centuries and continents by the strange and spectacular history of Richard Wagner's masterpiece opera Tristan and Isolde. Martin is a forty-year-old lawyer who, despite his success, feels disoriented and disconnected from his life in post-9/11 Manhattan. But even as he comes to terms with the missteps of his past, he questions whether his life will feel more genuine going forward. Decades earlier, in the New York of the 1960s, Anna is destined to be a grande dame of the international stage. As she steps into the spotlight, however, she realizes that the harsh glare of fame may be more than she bargained for. Maria is a tall, awkward, ostracized teenager desperate to break free from the doldrums of 1970s Pittsburgh. When the operatic power of her extraordinary voice leads Maria to Juilliard, New York seems to hold possibilities that are both exhilarating and uncertain. Lucien is a young Parisian at the birth of the modern era, racing through the streets of Europe in an exuberant bid to become a singer for the ages. When tragedy leads him to a magical discovery, Lucien embarks on a journey that will help him—and Martin, Maria, and Anna—learn that it's not how many breaths you take, it's what you do with those you're given. Grandly operatic in scale, their story is one of music and magic, love and death, betrayal and fate. 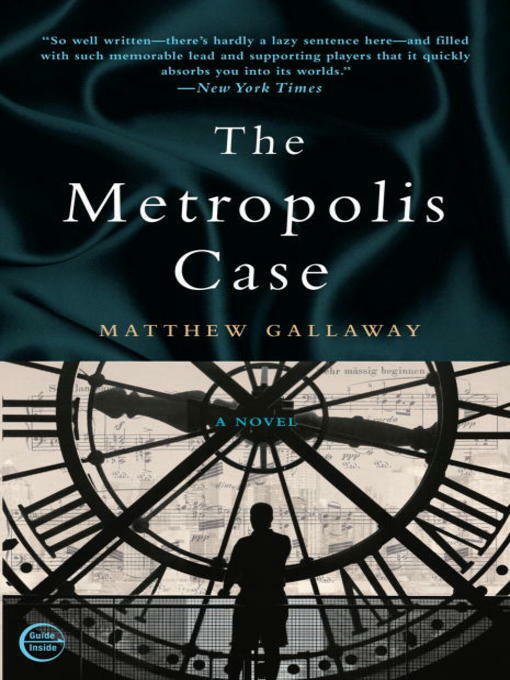 Matthew Gallaway's riveting debut will have readers spellbound from the opening page to its breathtaking conclusion.